In October 2018, the Chesapeake Film Festival (CFF) presented first-time director Rudy Valdez’s film, The Sentence, a look at his sister’s incarceration and an examination of the consequences of mandatory minimum sentencing which set sentences for certain crimes that judges cannot lower, even for extenuating circumstances. 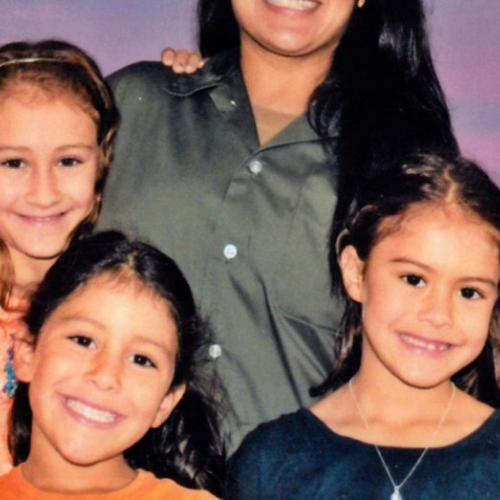 Rudy’s sister, Cindy Shank, mother of three, received a 15-year sentence in federal prison for her tangential involvement with her deceased boyfriend’s Michigan drug ring six years earlier. This intimate portrait of mandatory minimum drug sentencing's devastating consequences, captured by Cindy's brother, follows her and her family over the course of ten years. Documentary subject, Cindy Shank, was present at both of this year’s CFF screenings to lead the discussion. Extremely positive and poised, Cindy spoke about how she and her brother, despite her agonizing time in prison, have worked to lobby on behalf of the millions of Americans who have been incarcerated under mandatory-minimum laws. And now their work has finally paid off as the First Step Act passed on December 18, 2018. According to the New York Times, “The Senate overwhelmingly approved …the most substantial changes in a generation to the tough-on-crime prison and sentencing laws that ballooned the federal prison population and created a criminal justice system that many conservatives and liberals view as costly and unfair.” (“Senate Passes Bipartisan Criminal Justice Law,” Nicholas Fandos, January 18, 2018). Senator Mike Lee, a Republican from Utah, said that The Sentence has “really helped to get people to understand. It’s a key part of the groundswell of support behind the [First Step Act].” When he saw it, he thought it could be a tool to influence politicians, especially Republicans who were skeptical about this law. He hosted screenings with Senator Cory Booker, a Democrat from New Jersey, and showed clips at a weekly lunch. Soon other lawmakers stopped to tell him they saw it and their minds had been changed. “People became emotionally engaged watching it. A story like this humanizes the issue and changes minds in a way nothing else can.” said Lee. “The First Step Act modifies sentencing laws, including mandatory minimum sentences for nonviolent drug offenders, to more equitably punish drug offenders. This bill in its entirety has been endorsed by the political spectrum of America,” said Senator Richard J. Durbin, Democrat of Illinois. (“How a Little-Known Documentary Is Helping Push Criminal Justice Reform in Congress,” The Washington Post, Steven Zeitchik, December 15, 2018). Cindy was represented as a pro bono client by Ballard Spahr, LLP as part of its Clemency Project 2014. Marjorie J. Peerce, a white-collar defense partner in Ballard Spahr's New York office led the team that filed a clemency petition for Cindy and appeared in the film. Jon Laria, managing partner of the firm's Baltimore office, spoke at the screening. Ballard Spahr, LLP sponsored the screening and Cindy’s appearance at the 2018 CFF.